Following on from a very successful prize draw in January to raise much needed funds for Down Syndrome Ireland (Cork branch), Tandem Project Management were delighted to recently present Karen O’ Sullivan and Meghan O’ Halloran with a cheque for €2610. 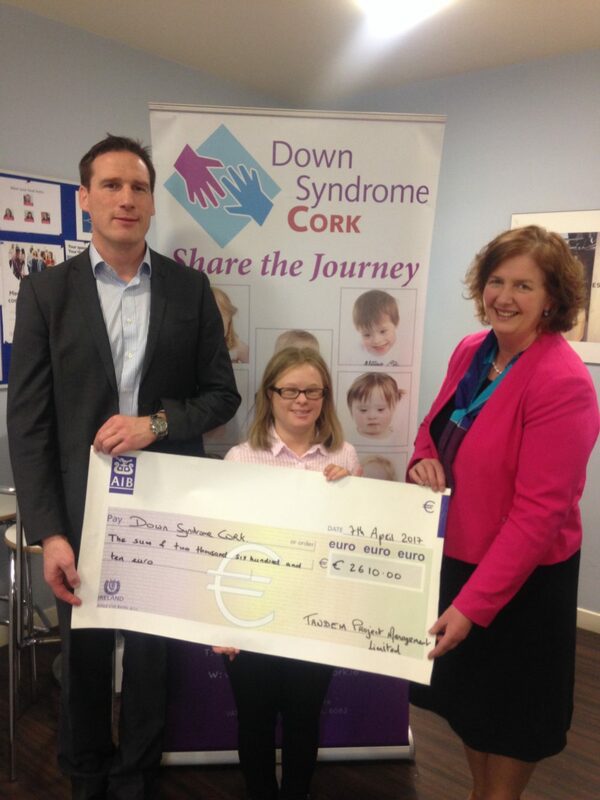 This brings the total money raised by Tandem Project Management for Down Syndrome Cork to over €12,000. The main aim for Down Syndrome Ireland (Cork) as a branch is to provide support and resources, to encourage active participation in the community, to foster positive attitudes and most importantly to help individuals with Down syndrome reach their full potential. Again, we would like to thank our sponsors, our ticket sellers, ticket purchasers and donors for helping to make this event the success that it was.